If you are still using a traditional vacuum for cleaning then no doubt to say you are wasting countless hours to keep your house clean. Cleaning is a pain but vacuuming has always been an unavoidable task until robot vacuums came in to save us. Robot vacuums are the best essential gadgets which help save us a ton of time and effort. Robot vacuums are a fun way to get the hard, irritating, dull, time-consuming household chore to get done easily with no supervision. But which robot vacuum will the best for your home? Roomba 980 is the top-notch robot vacuum from Irobot. This robot vacuum offers Aeroforce cleaning ten times more powerful compared to a normal robot vacuum. No other robot vacuum can compete with its suction power. And for carpet owners, it’s a god gifted one. 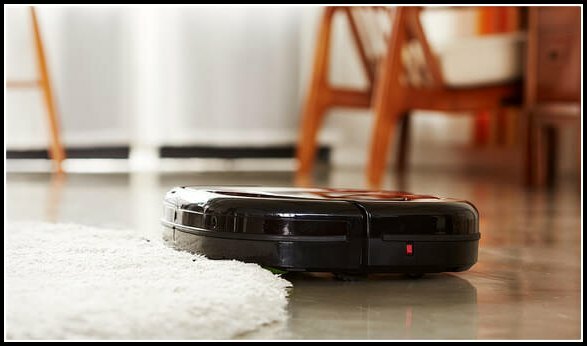 The feature which makes this robot vacuum distinct and attractive compared to other robot vacuums is the carpet boost option. Once it hits the carpets, it got to get little more suction to get the dirt and dust from deep inside the fibers. Speaking of its design, the top camera maps your home that means it knows where it is in relation to your home so that it provides more efficient navigation and it won’t bump into things or get stuck. Roomba 980 is Wi-Fi enabled and compatible with Amazon Alexa and Google Assistant so that you can control is using your voice. You can download the Irobot home app available for both IOS and Android platforms for free. Everything is getting automated; you can control everything from your smartphone. Robot vacuum is not an exception to it. Usually, it is hard to clean the bristled brushes as the debris and pet hair get trapped. But the Roomba 980’s brushless extractors make it easy to clean and maintain. The auto adjustable wheels make it transit easily independent of the type of surface. With every Roomba model, you will get virtual wall barriers great for restricting the robot vacuum passes in certain areas where you don’t want it to go. Expensive model but worth to have. 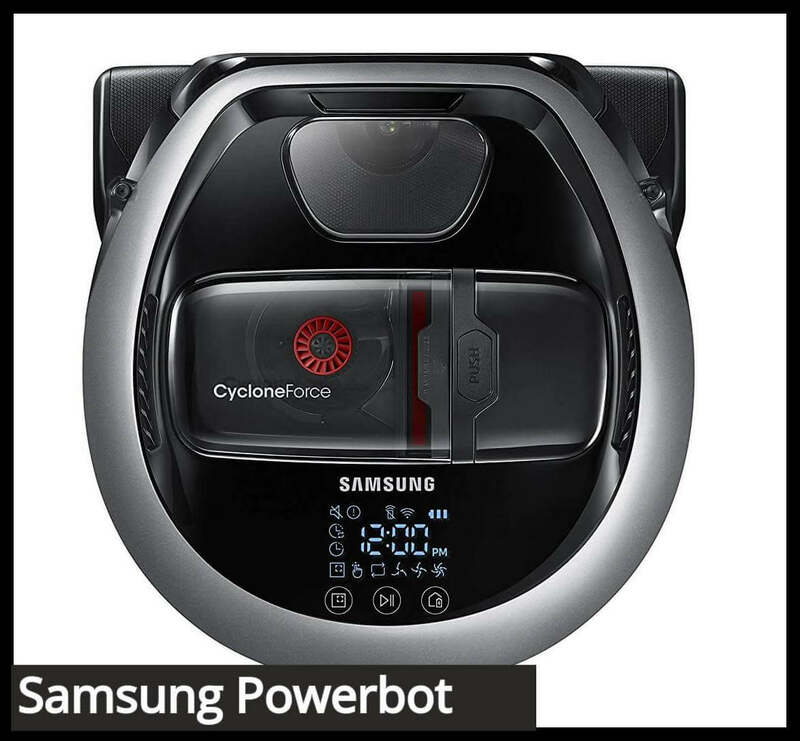 This is one of the Samsung’s powerful robot vacuum. It came up with the keen simple design. The wide motorized brush enables the robot vacuum to vacuum longer areas with less movement. The onboard camera and the sensors came equipped with help create an optimal cleaning way by mapping the layout of your home. And its long wheels move smoothly over the obstacles makes it transition from hard floors to carpet with ease. Great option for people with thick carpets in the home. And senses the type of the floor and provide the ideal suction for it. It came up with edge clean master technology features a new shutter extends to capture the dirt and debris from the corners effectively. Another cool feature it has the self-cleaning brush, great for you especially if you have pets or people with long hair in your home. And like the Roomba’s, it has recharge and resume feature. Its washable filter is easy to clean and maintain. 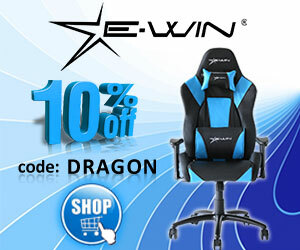 Best and Affordable. 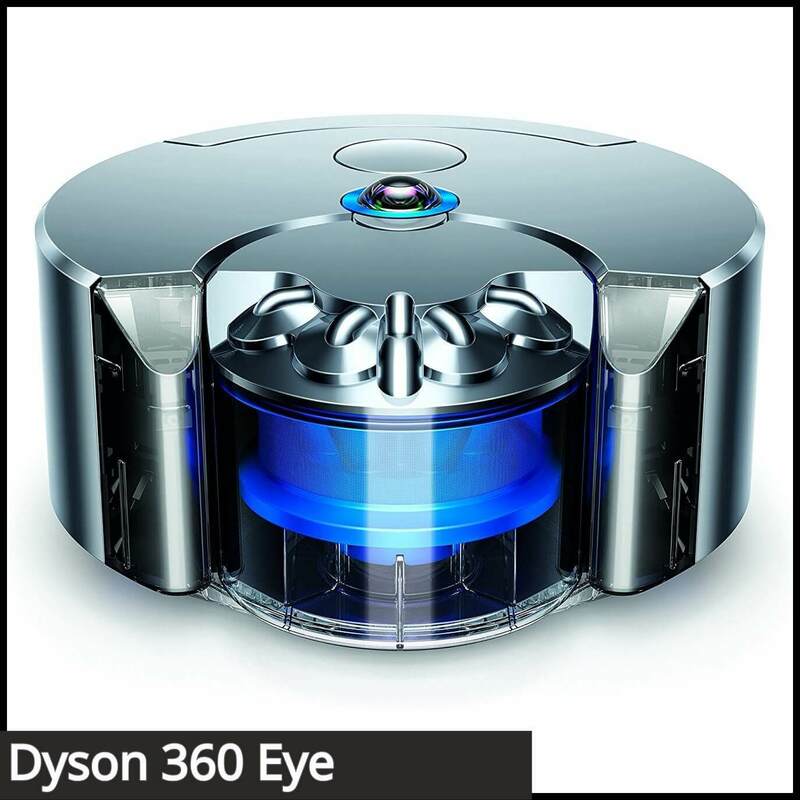 Dyson 360 is the first robot vacuum from Dyson. It’s arguably one of the best robot vacuums in the market today. The first thing to note is its design. It looks expensive and compact in size, a little bit taller than most of the robot vacuums. The name itself says: It’s got a 360-degree camera on the top. The front-facing IR sensors angled slightly downwards prevents the robot vacuum from any sudden drops such as stairs. It is Wi-Fi enabled comes with an intuitive app. 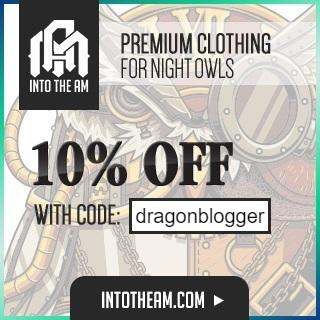 You can use the app on Android or IOS. You can control the robot vacuum using your phone from outside as well, recommended to have a connected internet service. When it is running low on battery like the other top end robot vacuums it will also return to the docking station, charge and carry on the place where it stopped cleaning. The only drawback with this robot vacuum is, most of the times it faces difficulty reaching the docking station. Another robot vacuum from Irobot. Irobot’s Roomba 960 is a powerful robot vacuum that has plenty of features included for ensuring quick and quality cleaning in your home. Speaking of its design, its auto-adjustable cleaning head will automatically adapt to different floor surfaces to keep the multi-surface brushes closely to the floor’s surface for effective cleaning. Its aero-force cleaning system with powerful motor provides five times powerful suction that can vacuum any embedded dust and debris particles completely. And also, the Roomba 960 came up with dirt detection technology so that its sensors recognize the areas filled with dust and vacuums more. 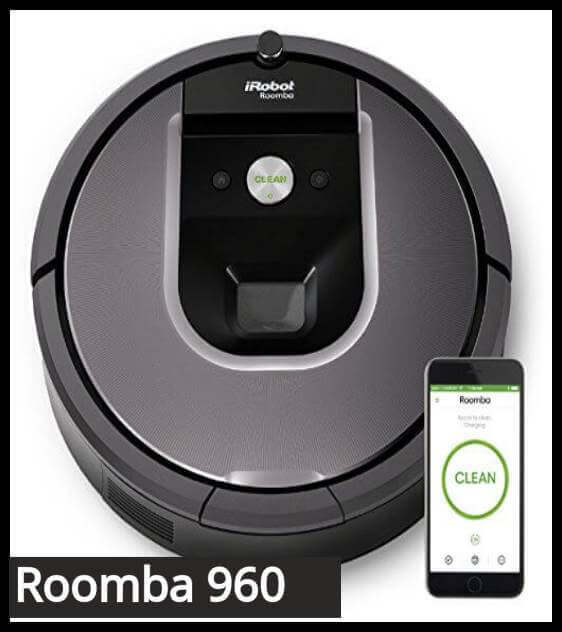 The Roomba 960 is also Wi-fi enabled with Irobot home app which you can download from Apple’s app store and Google play store. Using its user-friendly app, you can change settings, schedule the cleaning process and view the cleaning reports. 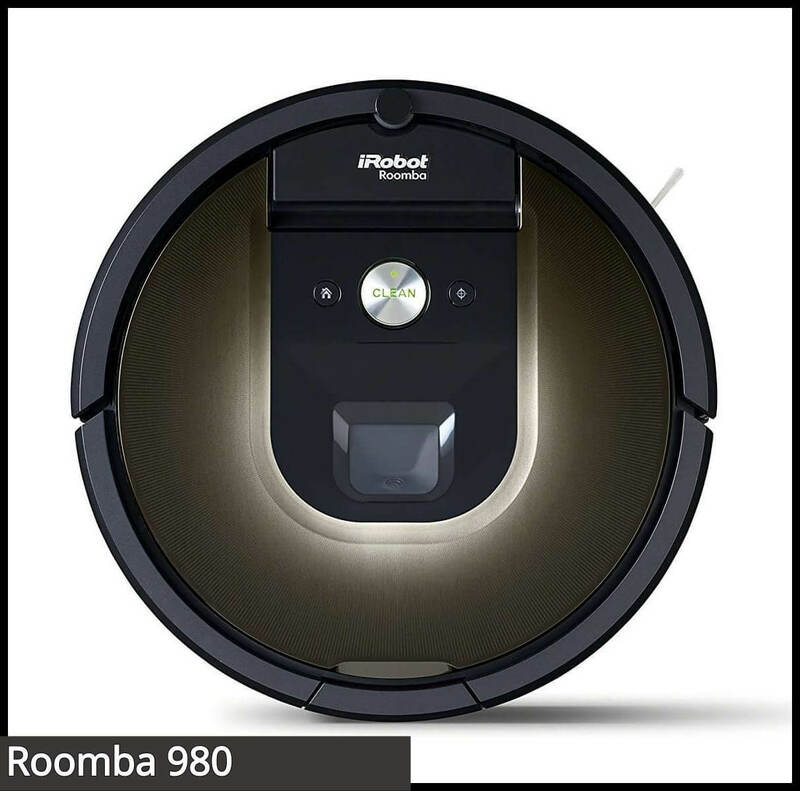 Roomba 960 is nearly identical to the top model Roomba 980 except these considerable key differences. One is the Carpet boost option and the second is the powerful suction. Roomba 960 is an ideal option if you want to have your house cleaned properly without sending a large amount of money. 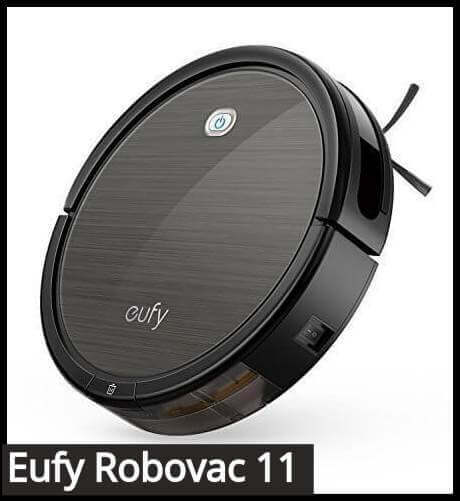 Eufy robovac 11 is another robot vacuum cleaner which shines with its capabilities, performance and most importantly its affordable price. Its low-profile design can reach even the hardest to reach spots and ensures that there won’t be any part of your house which is not cleaned. The battery life can last up to 90 minutes. Talking about the features, there are five cleaning modes in which you can take advantages such as an auto cleaning mode, spot cleaning, maximum cleaning, edge cleaning and a single cleaning mode so you can choose from based on what you are looking for. Another important feature is the triple filter system, great for preventing allergies. You should definitely consider this robot vacuum into consideration mainly because of its versatile quality modes and the capability of cleaning everything effectively and efficiently. If you think that we missed any best robot vacuum, kindly let us know by commenting below…. I am a gadget lover, tech freak, internet lover and have experience writing tech and gadget related articles. Happy to say my home is the Internet and I love living in it.